Earnings season is upon us and companies seem to be falling line in blaming the strong dollar for earnings weakness. And while some argue that the strong dollar excuse is invalid, in reality the strong dollar is hurting most U.S. based companies. Companies in the S&P 500 have overseas sales that average 45 percent of total sales. And things are even worse for Nike, which has sold more shoes this year than last year, but the company's revenue has declined because of the strong dollar. 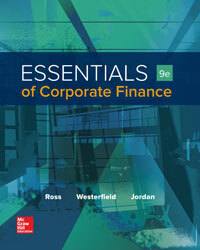 Finance textbooks do not generally spend a lot of time on ethics. This is because in finance, we generally argue that if the market believes that certain behavior is unethical, the company is punished financially, which means management is not maximizing the company value. This week, Deutsche Bank was fined $2.5 billion for its role in fixing LIBOR and Euribor, and Petrobas was forced to write-off $5 billion due to the corruption scandal that has entangled the company.